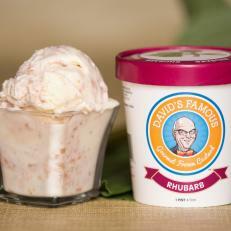 David’s Famous produces a richer and silkier frozen custard than the standard variety by upping the ratio of one crucial ingredient: eggs. While all frozen custard must include at least 1.4 percent egg yolk solids, David Gott’s version made from a tweaked family recipe contains a whopping 4 percent. This frozen custard comes in a range of flavors (including coffee, sea salt caramel and butter mint) and stays soft and creamy, even after it has been packed in tubs.